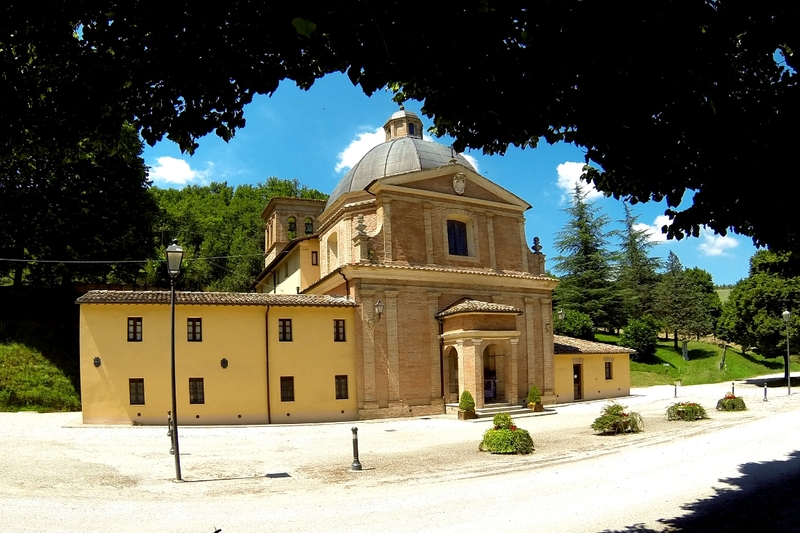 The Sanctuary of Battaglia is located just outside the old town of Urbania, in the direction of Peglio, named in honor of Antonio Marino Battaglia from Urbania who wanted to build in 1634 a small chapel dedicated to the Crucifix. Inside, on the central altar, there is the venerated image of Christ on the Cross with the Virgin and St. John, fresco which refers to the sixteenth century. Hereafter to the many miraculous events that occurred in 1717, the devotion to the Holy Cross had a big boost and the complex was expanded to make it more comfortable for the many pilgrims that arrived. In 2007 it was made an external path of the Cross with fifteen stations in clay created by the sculptor Augustus Ranocchi.